After spending three years in jail and others completely alone, twenty-four-year-old Cole Flint discovers an amazing ability—he can time-travel and teleport. He’s a jumper. So what should the motorcycle-riding, cage-fighting tough guy do? He should protect an innocent eighteen-year-old girl who happens to be in possession of the Staff of Moses. Following the direction of a trio of angels who are determined to shake things up in the Middle East, Cole pairs up with Hannah Carpenter and her pet grizzly while he also tries to change his past and learn the mystery of his birth. Curiously, the King of Jordan knows all about Hannah, and he’s determined to gain possession of the staff. He’ll do anything to possess its power, but is it possible that he’s no more than a pawn, manipulated in time along with Cole and Hannah? Jumper is a mysterious roller coaster of action and a time-traveling adventure that will keep readers guessing right to the very last page. Jeff is currently an 8th grade English teacher for Davison Community Schools. He coached for 25 years. 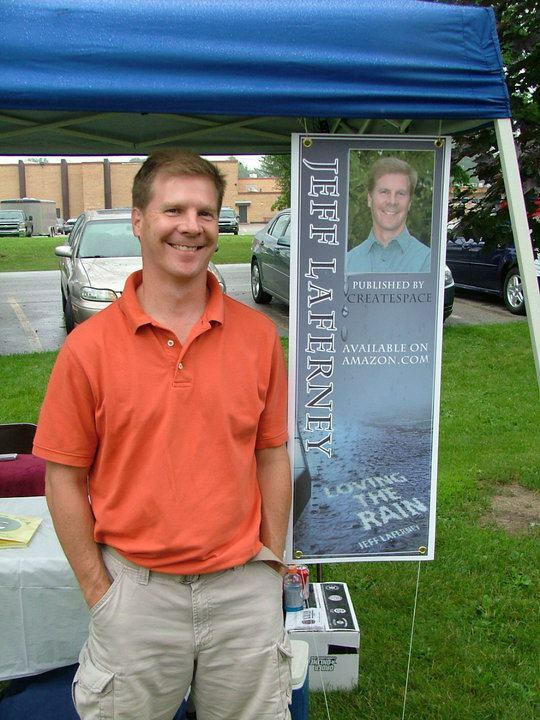 In the past three years, he stopped coaching and has published three mystery/suspense novels. Loving the Rain, Skeleton Key, and Bulletproof are three stand-alone novels featuring Clay and Tanner Thomas. A fourth novel, a time-traveler action/adventure called Jumper was published on April 30, 2013. Jeff loves sports, reading, writing, and spending time with his awesome family. My daughter’s middle name is Jenea (beautiful name). :) Thanks for checking out the book.